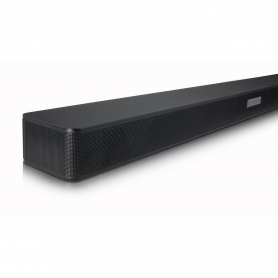 This LG SK5RDGBRLLK soundbar is the perfect partner for your TV. Take your family film nights to a whole new level with professional sound quality. Become totally immersed in the action with the 4.1 speaker set up. 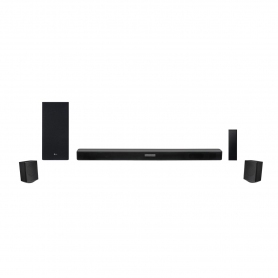 The 2.1 LG SK5RDGBRLLK soundbar perfectly partners with two additional speaker units to provide the complete home cinema experience. 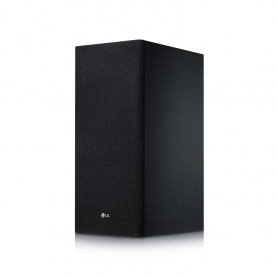 The wireless subwoofer also allows you to enjoy amazing sound quality without compromising on design. With three enhanced sound modes, you can always find the perfect settings to suit your choice of entertainment. 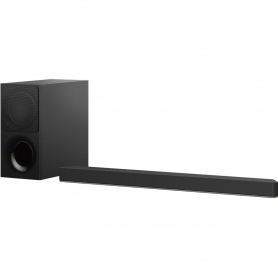 Mount this black LG soundbar to the wall, or simply place it in front of your TV for unparalleled sound quality. With the useful range of cable port options, you can connect your favourite devices to the LG SK5RDGBRLLK.Link up your TV and DVD player to enjoy your favourite films with cinema-quality audio. DTS Virtual:X sound: With this feature you can experience full three-dimensional surround sound in the comfort of your home. High-resolution audio: Enjoy a high standard of sound quality with advanced audio processing technology. The SK5RDGBRLLK delivers sound up to 24-bit/192kHz. 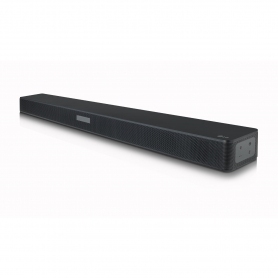 Adaptive Sound Control: Your LG soundbar will analyse frequency levels as you listen to give you the ideal sound blend. This intelligent process ensures your audio adapts to everything from crystal clear dialogue to riveting action. With the Auto Sound Engine,enjoy the ideal sound balance at any volume. And with rear surround sound, you can easily and wirelessly create your surround sound system. 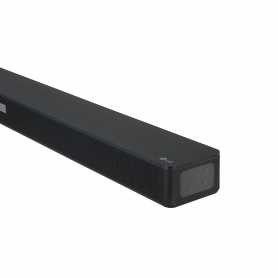 Enjoy cinema-quality sound at home with this fantastic LG soundbar. Experience surround sound as it was intended and add the SK5RDGBRLLKto your basket today.